« Giggs – UKHH Saviour? 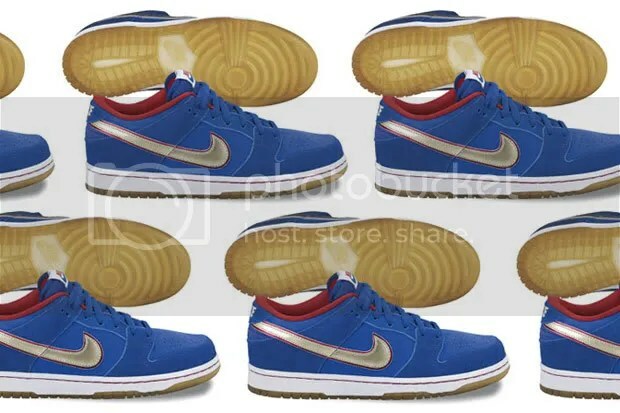 Initial pictures of the upcoming Eric Koston SB Dunk. For those who don’t know, Eric Koston is a Thai-American professional skateboarder with an impressive collection of accolades, having competed in the X Games, Slam City Jam and the West 49 Canadian Open, amongst others. Sponsored by Girl, Nike SB, Spitfire, Independent and Fourstar, if anyone deserves a signature SB shoe it’s him. Featuring a blue upper with red and white accents, not to mention a translucent sole and slimmer tongue, this shoe is a first look at Nike’s Spring 2010 range. And very nice it is too. This entry was posted on September 21, 2009 at 12:44 pm and is filed under Fashion. You can follow any responses to this entry through the RSS 2.0 feed. You can leave a response, or trackback from your own site. ARE YOU MAD?! These are a straight Kop!